January | 2019 | Schott, P.C. The guidelines make two primary changes to how patent examiners apply the first step of the U.S. Supreme Court’s Alice/Mayo test, which determines whether a claim is “directed to” a judicial exception. First, the revised guidance extracts and synthesizes key concepts identified by the courts as abstract ideas to explain that the abstract idea exception includes certain groupings of subject matter: mathematical concepts, certain methods of organizing human activity, and mental processes. Responding to subject matter rejections in the future should cite these guidelines and argue that their inventions, especially if they are software, do not fall into these categories. Second, the revised guidance includes a two-prong inquiry for whether a claim is “directed to” a judicial exception. 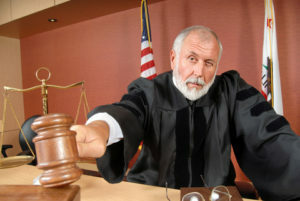 In the first prong, examiners will evaluate whether the claim recites a judicial exception and if so, proceed to the second prong. In the second prong, examiners evaluate whether the claim recites additional elements that integrate the identified judicial exception into a practical application. If a claim both recites a judicial exception and fails to integrate that exception into a practical application, then the claim is “directed to” a judicial exception. In such a case, further analysis pursuant to the second step of the Alice/Mayo test is required. The second step should be familiar to most practitioners at this point because it’s been the focus of articles in this blog, as well as many other commentator’s advice for responding to actions. Like all elementary school graduates, I learned that a single sentence should be short. One source suggests that a well-written work should average 20 to 25 word sentences. With that as the guide, sentences averaging 50 words would raise the ire of a 3rd grade teacher. Those averaging 100 words would drive a sane person mad. And a 250 plus word sentence would drive even Proust to distraction. But sentences of such prodigious lengths are commonplace in patent law. The offending sentences are patent claims. These claims are a U.S. patent’s most important feature. It is here that the inventor, or more likely the inventor’s attorney, sets forth the “metes and bounds” that define the invention. The claims serve as property lines: Cross into those lines with your product and you infringe the patent. With such importance placed on claims, you would expect them to be readable. You would at least expect them to have been the subject of the “plain English” movement, perhaps best summed up by Albert Einstein when discussing science: “Most of the fundamental ideas of science are essentially simple, and may, as a rule, be expressed in language comprehensible to everyone.” But the claims—despite the substantial time spent drafting and interpreting them—are not a place where the discerning reader finds linguistic respite. Why do patent attorneys write claims this way? The simple answer is that even in a plain English advocate’s hands, patent claims are doomed to obfuscation by the very authorities that require them. The U.S. Patent and Trademark Office (USPTO) almost insists that claims be unreadable. In the USPTO’s own words: “Each claim begins with a capital letter and ends with a period. Periods may not be used elsewhere in the claims except for abbreviations.” Thus, the plain English drafter can painstakingly weed every occurrence of “utilize.” And excise “said,” replacing it properly with “the.” And even strike “of the” in favor of possessives. But after all this careful work, the drafter may be left with an impenetrable sentence of a length not seen since Matthew begatted Jesus’s lineage back to Abraham. The consequence of the USPTO’s “single sentence rule” requires the patent drafter to cram several paragraphs of description into a single sentence. The rule forces claim drafters to convert otherwise sensible sentences into multiple clauses beginning “wherein,” such as: “wherein the stringed instrument includes a vibrato bridge movable to vary the tension of each of said one or more strings wherein each of said one or more strings is connected at one end to the actuating means and wherein the actuating means is carried by the vibrato bridge.” In a patent attorney’s hands, the above clause contains reasonable usage. In the hands of any other person, that clause—part of the lengthier entirety of the claim—justifiably drives them apoplectic. Your next question will probably be: “Why doesn’t someone do something about this clearly outdated rule?” Alfred A. Fressola, patent attorney, inventor, and principled-writer did. During his application’s prosecution, Mr. Fressola, equal parts aware of and perturbed by the USPTO’s single sentence rule, wrote a claim in verboten multi-sentence form. 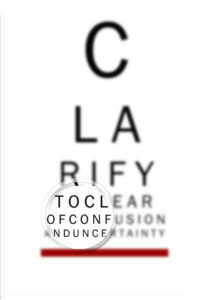 Upon examination, the USPTO examiner formally objected to the claim but also admitted that it was “clearer” than a similar single sentence variant. In addition to 150 years of single sentence history, the Commissioner stated that “the courts do not appear to have had any difficulty dealing with long claims.” The Commissioner went on to argue that “[t]he single sentence requirement promotes clarity and precision…by eliminating…multiple complete sentences.” With such defenses of run-on sentences, it’s no wonder Mr. Fressola (according to him, to his partners’ bemusement) appealed the Commissioner’s decision from the USPTO to the U.S. District Court for the District of Columbia. The D.C. Circuit gave Mr. Fressola’s case short shrift, deciding that the single sentence requirement was nothing more than a formal—not a substantial—requirement, and thus properly administered by the USPTO. Mr. Fressola—still the inventor here as well as defender of English and patent attorney—tired of his appeals on this point and eventually secured US Patent 5,617,332. It is a rare situation that someone would take the time to appeal the single sentence rule, allowing their patent application to languish for years in the administrative and court processes while challenging a clearly written—if wrong—requirement. But kudos to Mr. Fressola for being in the unique position to take up the challenge and follow it through. Mr. Fressola’s position that Section 112 is best-served not by tradition, but by clarity in writing that “particularly” and “distinctly” describes the invention, makes sense. With the potential arrival of a new USPTO Director, I hope that Mr. Fressola’s sensible position becomes the rule. Writing claims in multiple sentences, while perhaps flouting 150-plus years of claim-drafting tradition, promotes clarity. It further complies with the statutory requirement that claims be “particular” and “distinct.” That such claims would differ from the international one-sentence norm would only place the United States at the forefront of a sensible change in patent claim-drafting rules. Not only would the patent bar be happier for it, but so would the examiners who are charged with interpreting needlessly unreadable claims, as well as the judges and juries who examine claims in excruciating detail. Garner, Bryan. Garner’s Modern American Usage, 3rd Ed. 2009. To spare you some frustration, I have not included the entire text of one of these monstrosities in this article and for that, I accept your thanks. Manual of Patent Examination and Procedure (MPEP) Section 608.01(m) (the MPEP is guidebook that provides the procedure to be used by examiners when they examine patent applications). Section 112 requires that “[t]he specification shall conclude with one or more claims particularly pointing out and distinctly claiming the subject matter which the applicant regards as his invention.” The Commissioner stated that courts “do not have difficulty” parsing long claims, and as proof, noted a civil action involving a 268-word claim. I beg to differ: I have often heard judges beg on their own and on their juries’ behalves for patent attorneys to take mercy on them and not overcomplicate things with dense writing. Mr. Fressola unsuccessfully appealed another aspect of his patent application, an omnibus claim, to the Court of Appeals for the Federal Circuit. A version of this article originally published in 2009. The bar’s response to it then was skeptical, so maybe I’m wrong and patent attorneys want less clarity. If so, it may put them at odds with their clients’ wishes.